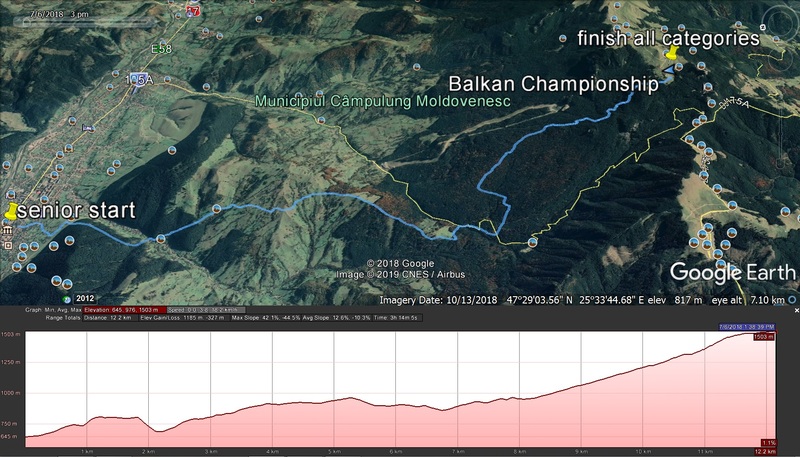 This year's Balkan Mountain Running Championship will be uphill only. Senior course is 12km long with 1200m elevation. The start is at Campulung Moldovenesc town centre. It starts on flat ground for 0.15km, then uphill for about 1 km with 100m gain, followed by a 0.8km flat path into the forest and then left, downhill, with the river on the runners' right side. Afterwards, the second uphill sector starts with a 300m gain. 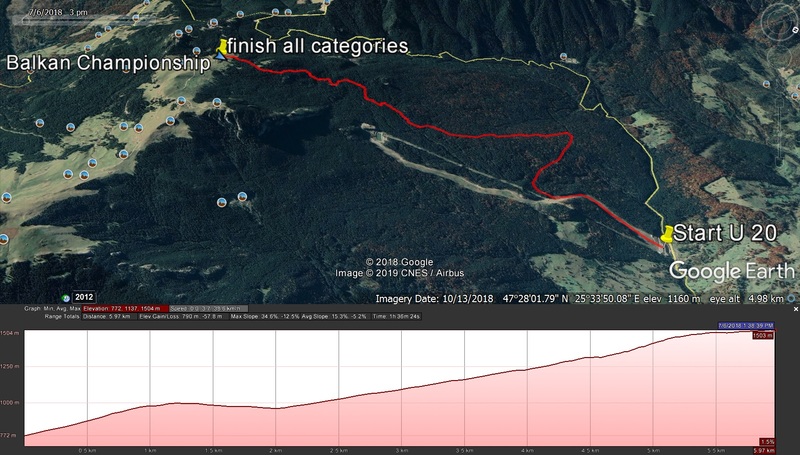 After a short descent of 0.5km, following a 0.7km forest road with a refreshment station at the beginning, the course turns right, leaving the road and meeting the short course for the last 5 km. They are the final, continuous climb, about 650m gain through the forest and technical terrain with moderate slope and short steep sectors reaching the finish line on the top of Rarau. The U 20 course, with 6 km and 800m elevation, starts from the bottom station alt. 770m of the Rarau Ski Resort. Following the slope for about 0.8km, it turns right on a forest road and after 0.5 km it meets the senior track by turning left and follows it for the last 5 km. 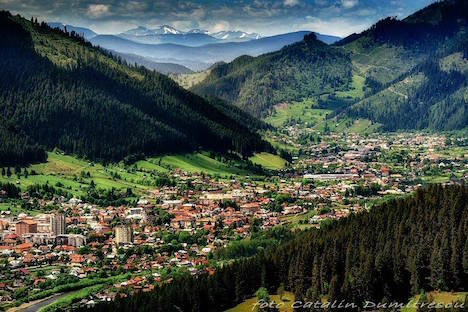 The official airport for this competition is the Airport in Suceava which is 67 km away from Campulung Moldovenesc and from there the Teams will be transported by the Romanian Athletics Federation.